Grasshopper Music Entertainment and Tuff Gong International have released the video and first single from the soundtrack of the hit Jamaican movie “Destiny”. 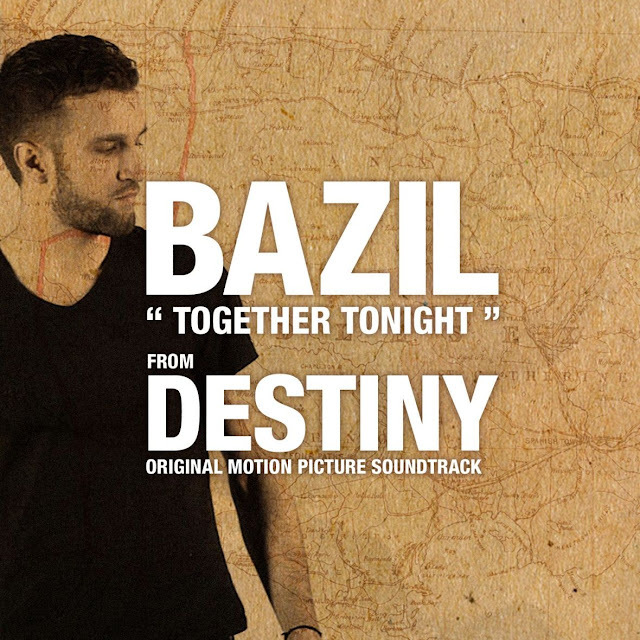 The single “Together Tonight” by Paris based Reggae Artiste “Bazil” is the first single off the album Destiny: Original Motion Picture Soundtrack. "Together Tonight" was produced by Bazil and Romain Ghezal. The soundtrack was Produced by Clive Hunt, Co-Produced by Dwain Campbell, Executive Produced by Jeremy Whittaker for Grasshopper Music Entertainment and is distributed through Tuff Gong International. Born in Paris, Bazil was exposed to Reggae, Soul and Hip Hop at an early age and was influenced by artists like Bob Marley, The Fugees, Otis Redding, Buju Banton and Bob Dylan. After moving to New York at the age of 19 he met artistes like Wayne Smith, The Meditations, Patrice, Anthony B, Yellowman and other rappers/singers who inspired him to continue his pursuit of music. Bazil is signed to Grasshopper Music Entertainment and is now working on his upcoming album. The video for "Together Tonight" was directed by Destiny’s producer/director Jeremy Whittaker, with cinematography by renown production house Fareye productions and post production by Wayward Films Inc, in Canada. The video features snippets of Destiny with additional scenes from the Fleet Street community and the world famous Tuff Gong International. Clips of Bazil performing the single at the 70th birthday celebration of Reggae Icon Bob Marley are also included, with cameos by Cedella Marley, Rohan Marley, Julian Marley, Ky-Mani Marley, Skip and Stephen Newland of Roots Underground. Grasshopper’s Jeremy Whittaker noted, “we are all excited about this single and we know it will introduce Bazil as a serious performer in the reggae genre as well as create additional buzz for the international release of Destiny".